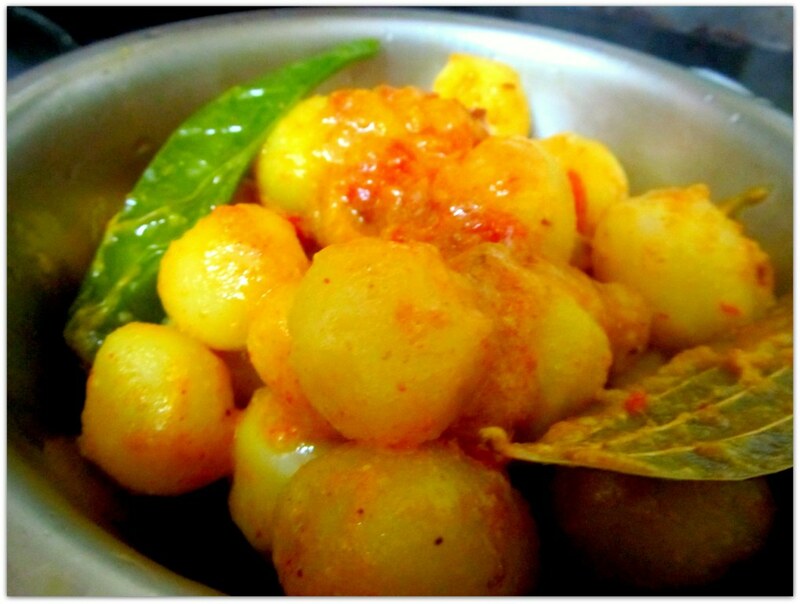 I fell in love with alur dom made from baby potatoes while I was doing my post-grad. 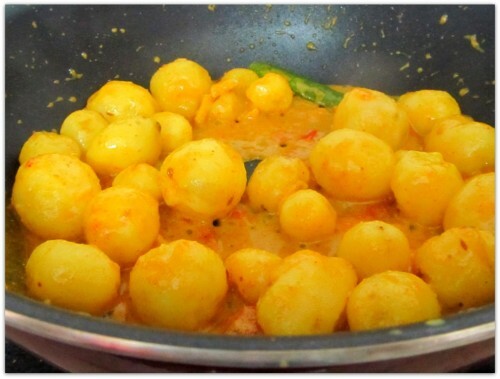 One form of this dish was sold by vendors (we call them hawkers) in the station nearby my institute and was part of my Friday routine for whole two years. 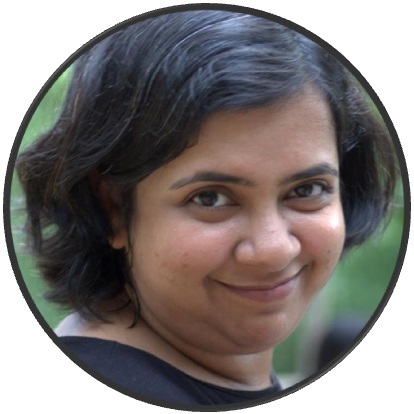 My version of Niramish Choto Alur Dom may not match with the version of the hawkers, but I love this one too. 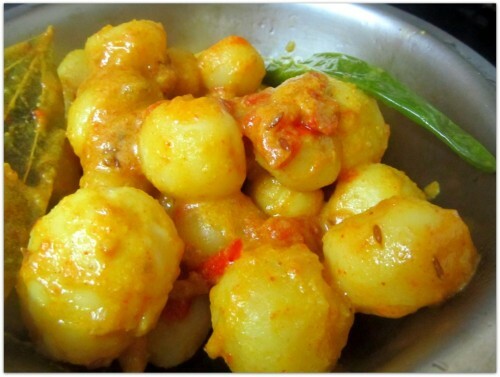 Niramish Choto Alur Dom, meaning Dum Aloo made from baby potato and without any onion or garlic. Onion and garlic are considered as ‘Amish’ in Bengali culture. Amish is prohibited for a person who is performing any kind of religious ritual for that period of time. 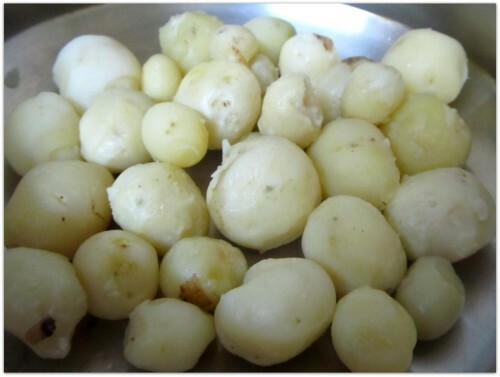 Peeling the skins of baby potatoes is very painful, thus just clean them and put them in a pressure cooker with a pinch of salt and cook for 4 to 5 whistles. 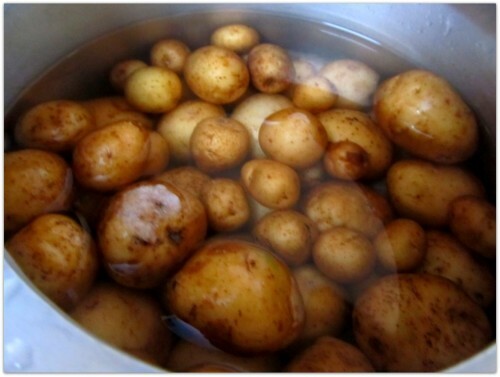 When the potatoes are cooked take them out of the hot water and cool them down before you peel the skin off. 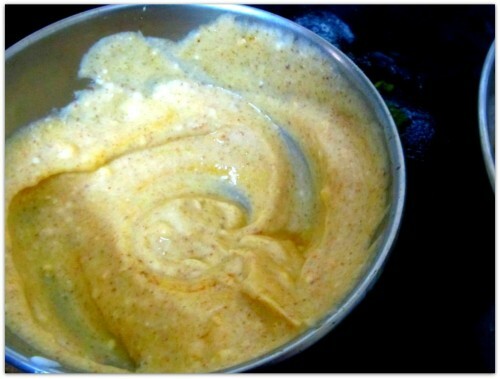 In a bowl put the plain curd and all the powdered spices along with salt and sugar. Mix well. 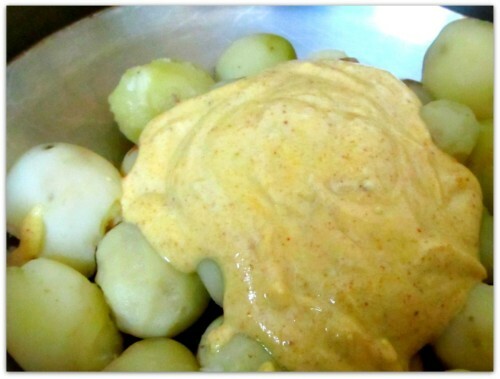 We are going to marinate the boiled potatoes with the curd and spice mixture for as long as possible. If you do not have time keep them marinating for at least 10 minutes. Meanwhile cut the tomato in small chunks. Cut the ginger into small pieces as well. 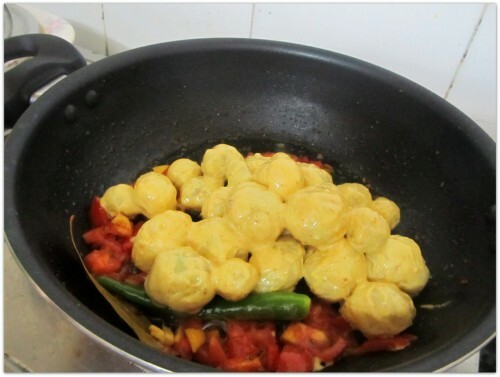 You can grate the ginger or make a paste, but I sometime like the texture of small ginger pieces while tasting a dish. 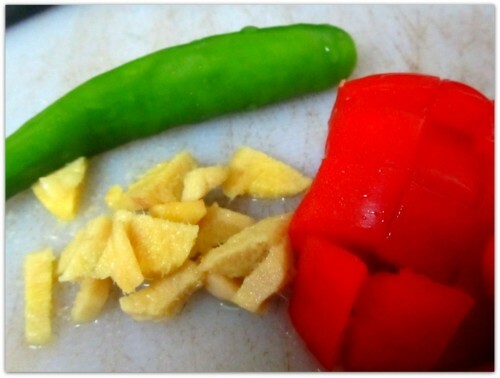 As for the chili, you can cut them into small pieces or keep it whole. I have learned a trick from one of my favorite cooks Jamie Oliver, about the usage of chili in a dish. You see not everybody is fond of hot food. The heat from the chili may be welcomed to others but not to me. I like the flavor of a chili but not the heat, whereas my hubby like the heat as well. So I use the chili whole. I get to keep the flavour and he can keep the chili itself 😉 . 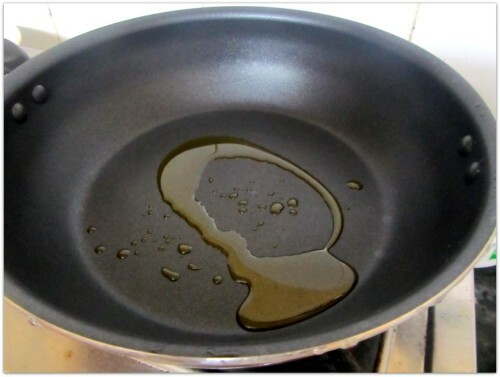 In a frying pan heat some oil, preferably mustered oil and put it on the stove. 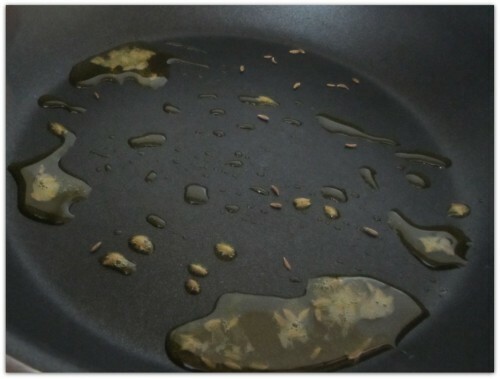 When the oil is hot, add the whole cumin seeds and bay leaf. Then add the chili and tomatoes. 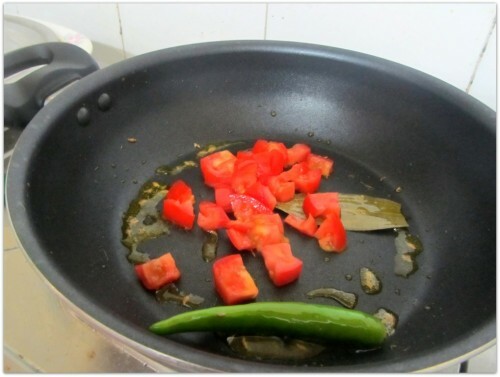 Cook them over a low flame (you can cover the pan) till the tomatoes are soft and gooey. Now you can add the ginger pieces and saute for 10-15 seconds. Next add the marinated potatoes in the pan and stir. Add some water at this point. Be careful with the amount, we do not want a lot of gravy. If required add some more later. 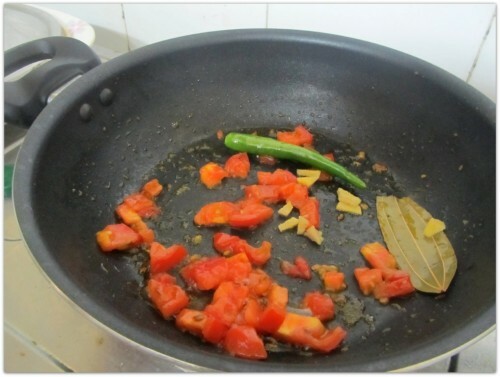 Cook for sometime till the water has evaporated and we have our Niramish Choto Alur Dom. 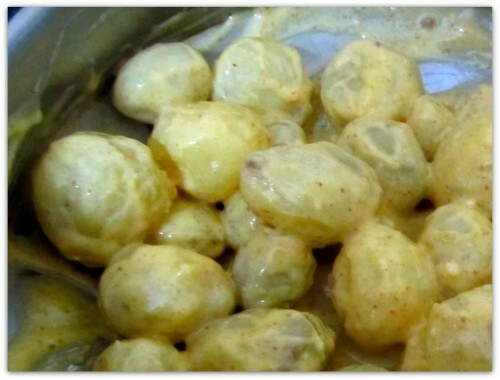 Clean and cook the baby potatoes in a pressure cooker with some salt. 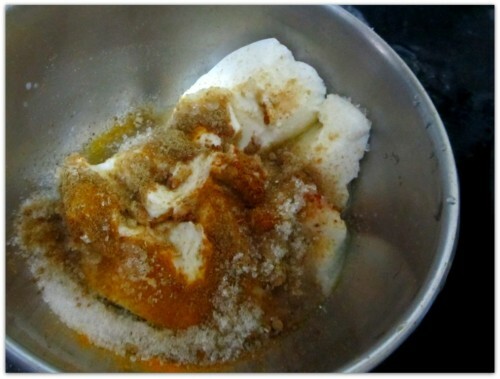 Mix the curd and all powdered spices and salt and sugar.